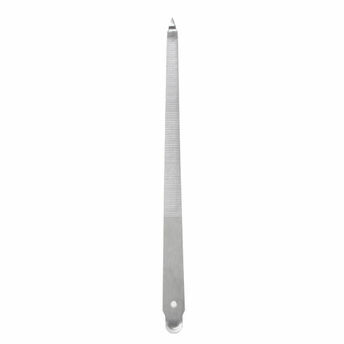 Kaiv Nail File Steel (Small) is a two-sided metal with nickel plated surface. It is used to gently grind down, smooth and shape the edges of nails. The abrasive sides are aesthetically designed to gently file your nail to a natural and smooth shape.